Your favorite marketplace for digital products. Download the theme from your MyDigitalSauce Purchase History page. You will need to first unzip this file and within the folder locate the 'marinara-blog.zip' file which will then be used for the theme installation. Open your WordPress backend and browse to "Appearance" in the side navigation. Click on "Themes". On this page you will find an "Add New" button at the top. Click it and go to the "Add Themes" page. Here you will find an "Upload Theme" button. Click it and upload your 'marinara-blog.zip' zip file. You will now see an "Install Now" button, which you can now click to install. This process will take a few seconds. After successfully uploading of the theme, you should now repeat this process for the 'marinara-blog-child.zip' zip file. 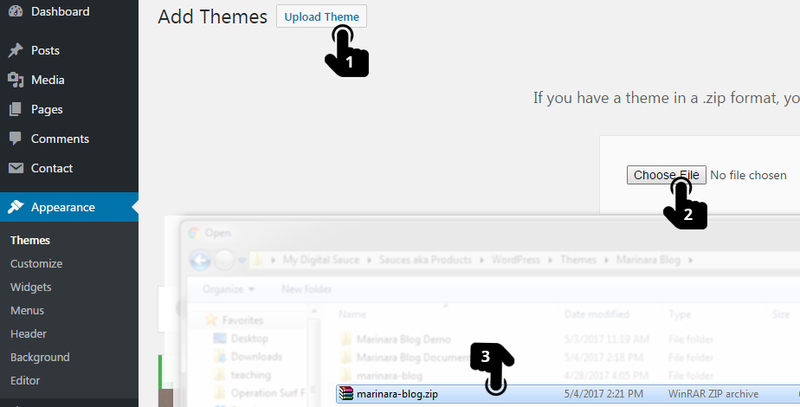 After you've repeated the upload and install theme process for the Marinara Blog Child theme you will now see the two themes displayed with the other standard themes. You should now activate Marinara Blog Child theme by clicking on the "Activate" Button. 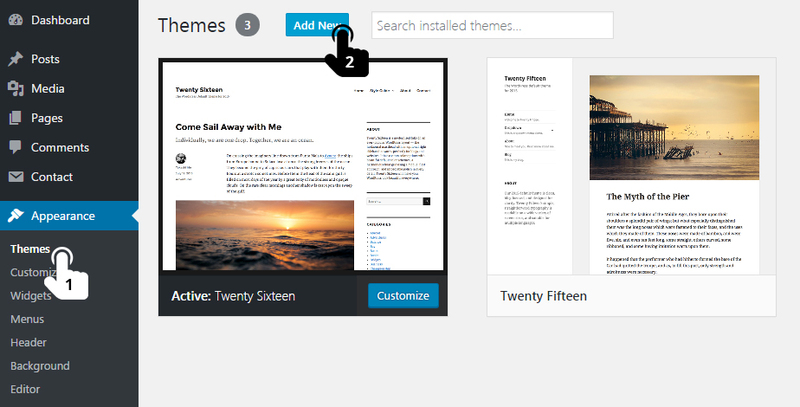 Now lets begin to customize your WordPress theme.